Contractors executing central government awarding contracts and NGOs projects have been urged to consult management of Metropolitan Municipal and District Assemblies (MMDAs) before executing any of such projects in their respective areas. The move is to enhance effective working relations between the contractors and the Assemblies to ensure effective monitoring of progress of work, delivered by contractors to the benefit of beneficiaries. 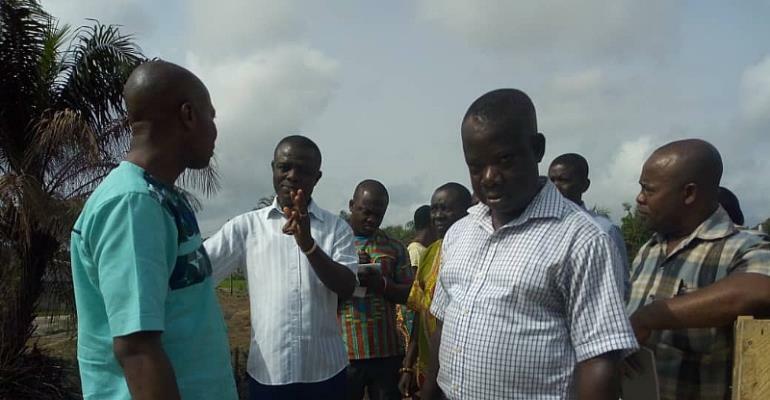 The concern was raised by the Assistant Engineer of the Birim Central Municipal Assembly, Mr. Michael Nuako at a day’s inspection tour of the Municipal Planning Co-ordinating Unit (MPCU) of the Assembly at Akyem Oda, in the Eastern region. The inspection among other things was to assess the progress of work and spur the contractors on to work towards completing awarding projects on schedule. Mr. Nuako indicated that, as beneficiaries, the Assemblies have no control over the selection of contractors and consultant for such projects and how they are executed. He added that this has become a major worry to the Assemblies in terms of effective monitoring of the projects by the Assemblies. According to him, due to this, the Assemblies have little or no control over what goes into the execution of the projects. Mr. Nuako, therefore, suggested that there should be decentralization of such projects funds to enable the Assemblies to hold a fraction of it to ensure proper supervision and completion of projects are done to benefit citizens of the Municipality before full cost of projects are paid by the Assemblies. Mr. Nuako said some of these projects undertaken by these external contractors have to be abandoned for years and at times would have to be demolished for new ones to be built to avoid endangering the lives of beneficiaries. This development he noted end up wasting state resources and the taxpayer's money.